Log tools are a specialized breed of tools evolved over the years to deal with the unique challenges of heavy timber and round logs. If you’re building a log home from whole trees, whether felled by you or dropped on your property, you need to know the correct techniques for handling, moving and peeling logs. This can be a very difficult and back-breaking task even with the correct log tools, so knowing the best way to use them will save you a lot of labor. 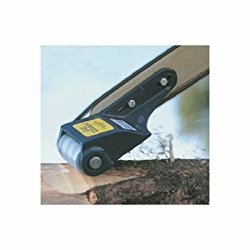 There are a number of unique and incredibly useful tools used for moving and controlling logs, as well as specialized tools for log peeling. 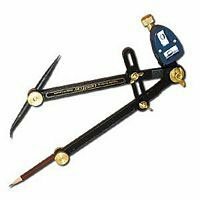 These tools have evolved to fit their function over many years and you may be surprised by how ingenious they are. Let’s break down these log tools and describe their function, as well as different methods of log peeling. You may need to use a combination of log tools to get your logs smooth and ready for scribing, cutting and stacking in preparation for building your log cabin and depending on your choice of log style. 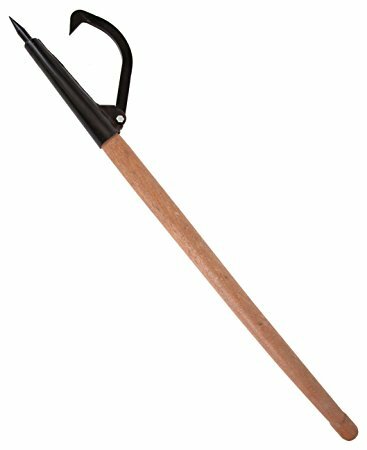 Peavey - A peavey is a pointed stick with a movable claw on the side that allows you to grasp logs of varying diameters and roll them into position. Cant Hook - A cant hook looks just like a peavey except it doesn’t have the pointed end. This helps protect the log from damage. 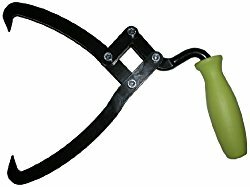 Log Tongs - Log tongs or are like an old-fashioned set of ice tongs, a pair of moving clamps that allow you to pick up and move smaller logs and timbers. Timber carriers can also be mounted on a wooden bar for two people to use together. Scriber - Scribers are used to transfer shapes from one log to another. Commonly used in scribed, or chinkless cabin building where each course of logs fits tightly against the ones above and below with no gaps. These scribers have a bulls-eye level that allows you to keep it level while running it along the lower log to transfer the shape to the upper log. 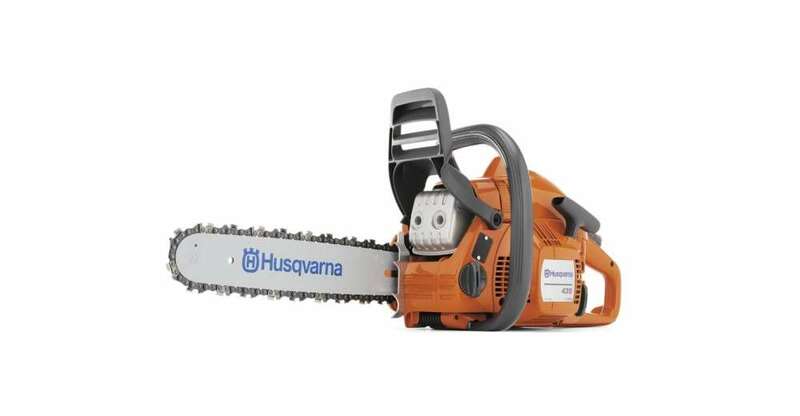 Chainsaw - A chainsaw, like this Husqvarna 2 HP, can be used for more than simply cutting logs to length. They can slice off knots and branches prior to peeling the bark, they can be used for notching the ends and can even do plunge cuts to hollow out a space. 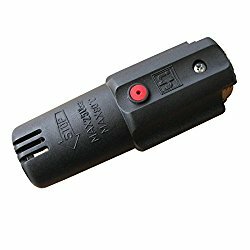 They are a very useful addition to your log home building tools. Lock logs in place with log dogs to give you a secure hold while cutting, carving, shaping, peeling bark, or notching logs. Draw Knife - Draw Knives come in a wide variety of sizes and handle angles to accommodate the different tasks they are called upon to perform. They also vary blade shape, with some straight bladed and others curved. Some people like the “skip-peeled” look, where you don’t remove all of the darker-colored inner bark, but be aware that this can hold moisture and insects and make your log cabin maintenance more difficult. Peeling Spud or Barking Spud - A peeling spud has a sharpened flat or rounded blade on the end of a stick, and it can peel off a log’s bark by prying it away. This saves a lot of time and sweat if used before finishing up with a drawknife. Adze - Adzes come in long and short handles, as well as curved and flat blades. 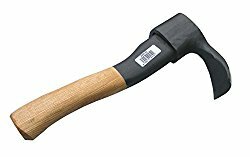 Short-handled adzes can be used with either one or two hands, while long-handled adzes are used by swinging them between the legs while straddling your work. 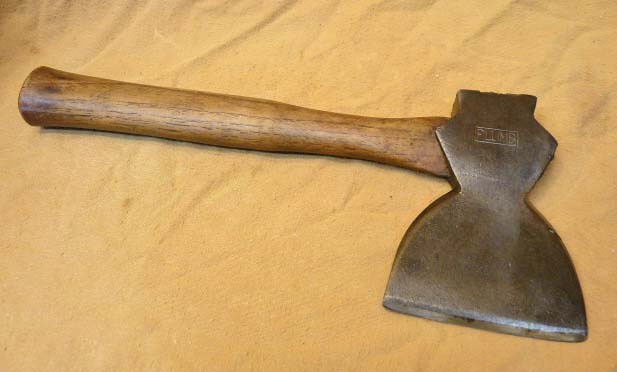 Broadaxe - A broadaxe looks like a regular axe with a very wide blade. They also can have one flat side and one slightly cupped side for chopping flush to the log. These are great for giving that hand-hewn look of the Appalachian square-log homes. Grinder - A 4-1/2" angle grinder is very useful for removing and smoothing knots before you finish up peeling the log with a drawknife. You can switch between a cut-off wheel, a grinding wheel and various grades of sandpaper for shaping and finishing. Log Wizard - The Log Wizard is a mechanical tool attaches to your chainsaw and uses a grinder to shape and peel logs with a pair of blades rotating on a drum. Using a short bar on the chainsaw will help you control this easier. Power Washer - With water pressure at 500 psi - 1000 psi a pressure washer can do a quick and smooth job of peeling bark from a log and works especially well for logs cut in the spring when the sap is flowing. Try experimenting with different nozzle tips. 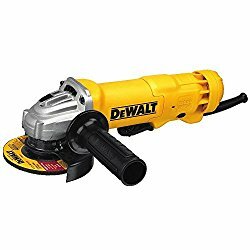 Rotary Nozzle - A rotary nozzle, like the RotoMax, uses a rotating spray instead of a straight blast of pressurized water so it can be gentler on the underlying wood as it removes the bark, plus it’s very fast. 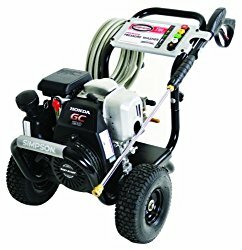 On the other hand, it also requires a higher pressure (2000 psi - 4000 psi) so you must be very careful in its use. Specialized log tools like these have evolved for specific functions, which they perform very well. There are very substitutes that will be able to do the same tasks of handling, moving, scribing and peeling logs for your log home.